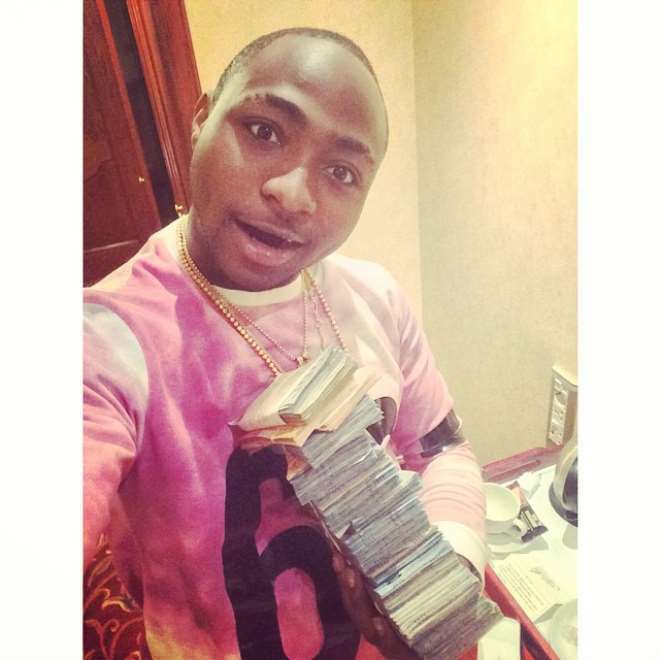 Davido In Wealth Intoxication Fever? Wave making artiste, Davido, is known for displaying his numerous wealth at every little opportunity he gets and does not care about what his fans will say about him. Recently, when asked why he finds joy in showing off his wealth on social media, the singer explained that it is his life and does not need people to follow him or like what he does. The 'Omo Baba Olowo' (son of a wealthy man) crooner is at it again and has flaunted some hard currency on the internet. It would be recalled that recently, Davido has been busy touring Europe, entertaining his fans in the continent with his songs. The young singer has also been raking most awards he has been nominated in, especially as the best African act.